Sherley A. 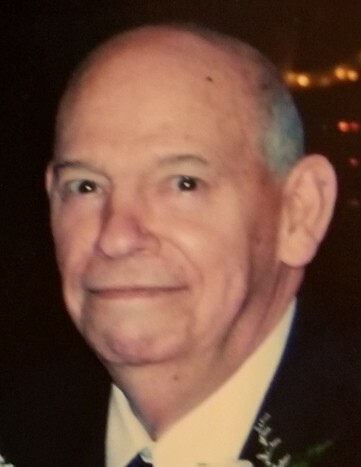 “Sam” Mayle, 84, of Mingo Junction, Ohio, passed away on Saturday January 19, 2019, in the emergency room at Trinity Medical Center West in Steubenville, Ohio. He was born March 28, 1934 in Brilliant, Ohio, a son of the late Newton R. and Elizabeth L. “Betty” (Liston) Mayle. In addition to his parents, he was preceded in death by his wife of 58 years, Angelina “Angie” (Pergi) Mayle on January 3, 2017; two brothers, Perry “Keith” Mayle and Newton Royce “Sonny” Mayle; and two sisters, Nancy Blankenship and Bonnivere O. “Bonny” Weldon. Sam was retired for 34 years from Satralloy Corp. where he was a millwright. He served his country in the U.S. Navy. He was a member of St. Agnes Catholic Church; the GKL Wildlife Association; and a former member of the Mingo Knights of Columbus Council #4361. He will be greatly missed by his family. Surviving are seven children, Debbie (the late Peter) Riccardo of Mingo Junction, OH, Scott (Patricia) Mayle of Wellsville, OH, Craig (Brenda) Mayle, Trent (Wendy) Mayle, Mark “Doug” (Cheryl) Mayle, Michelle (David) Trikones and Sherry (Lee) Tongate, all of Mingo Junction, OH; and a sister, Brenda Board of Brilliant, OH. His legacy of love continues through his eighteen grandchildren and their spouses, Peter (Shauna), Leigha, Michael (Rachel), Christopher, Maria, Tony (Sadie), Angie (Steven), Autumn, Markie (Marcus “Tiny”), Samantha (Christian), Jocelyn, David, Marc, Michael, Nicholas, Riley, Sophia and Teagan as well as eleven great-grandchildren, Charlee, Owen, Colin, Hannah, Logan, Brooklyn, Camdin, Ethan, Sylas, Vinny and Bristol. Friends will be received on Wednesday from 3-8 p.m. at the Wheeler Funeral Home, 101 Longview Ave., Mingo Junction. On Thursday there will be viewing at St. Agnes Catholic Church from 9:00 a.m. until the time of his Funeral Liturgy with Mass at 10:00 a.m., with Rev. Fr. James M. Dunfee, celebrant. Interment will follow at Mt. Calvary Cemetery, Steubenville, with military honors by the Ohio Valley Veterans Memorial Squad. On Wednesday there will be a Vigil service at 7:45 p.m.